Operation Cooperation is a major annual project that aims to protect the fragile desert environment from off-road vehicle damage, and to solve conflicts among different types of users. Click here for more info on Common Thread. In early 2011 we restarted the Mill Creek Partnership, a group that first formed in the early 90s. The first group was dedicated to closing the canyon to off-road vehicles and working to restore the canyon to its most natural state, while keeping it open and free for all to enjoy. We are proud to carry on this work. We hold work parties, do cleanups, maintain trails, remove weeds, and encourage others to enjoy the canyon by leaving no trace. Visit the Leave No Trace website to learn more about how you can be beneficial to the land around you. Visit Mill Creek Partnership to learn about the partnership and volunteer opportunities. Below: homeless men work together to pull weeds in Mill Creek Canyon at the Powerdam. 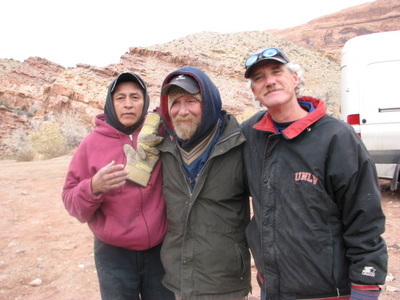 Photo at left: Henderson John (found dead in his camp September of 2014), Ken Milliken, now living near Nashville near family, and Bill Thompson (died March 2012). 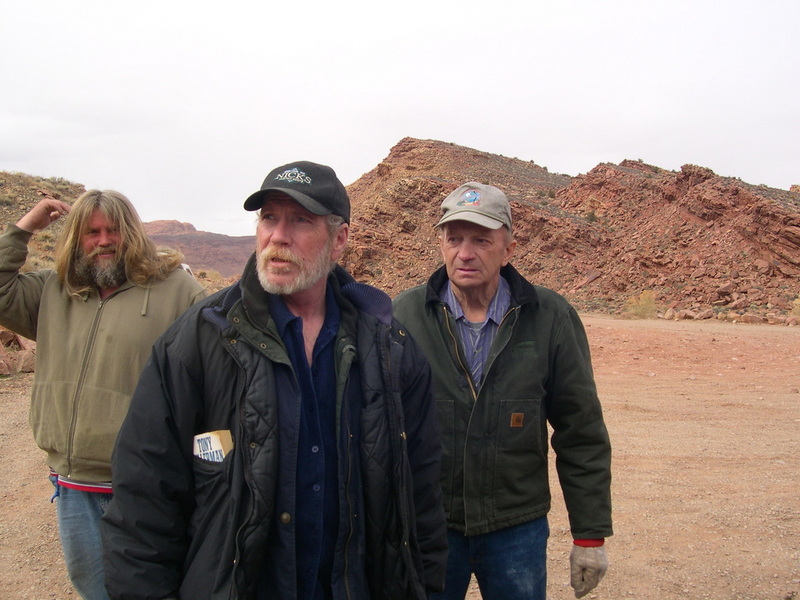 Photo at right: Griz, Carey Jones, and Kim "Dewey" Hill (died 2012).